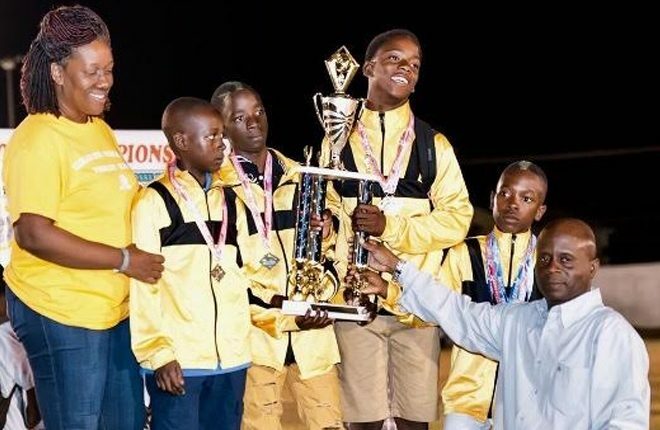 NIA — The St. Thomas Primary School (STPS) emerged winners, successfully defending their title in Class A Division at the 25th Gulf Insurance Primary Primary Schools Championships. 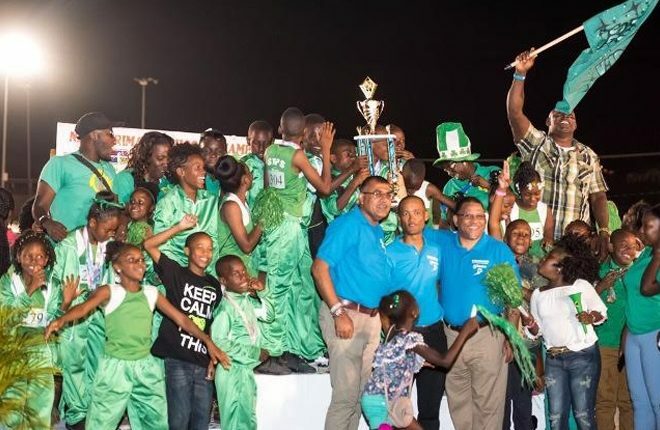 The Elizabeth Pemberton Primary School (EPPS) captured the winning spot for the sixth consecutive time in the Class B Division. The keenly contested games took place at the Elquemedo T. Willett Park on April 05, 2017, under the patronage of Ms. Meritza Williams, Nevis’ first female Olympian and a former athlete of the Charlestown Primary School. Overall points standing at the end of the meet were St. Thomas’ Primary School – 191 points, Joycelyn Liburd Primary School – 161 points, Ivor Walters Primary with – 159, Charlestown Primary School – 129 points, Elizabeth Pemberton Primary School – 125, Maude Crosse Primary – 42 points, Violet O. Jeffers Nicholls Primary School – 32 and the St. James Primary School – 25 points. The eight primary schools on the island are divided into two divisions. Division A comprises the largest schools and Division B are schools with 125 students or less. The meet began with a 60 meter race followed by a 100 meter, 200 meter, 800 meter and 1200 meter races. There were also 4×1 and 4x 400 relay races. The Championships were also sponsored by the Nevis Island Administration through the Ministry of Education and the Ministry of Youth and Sports and local agents for Gulf Insurance A. L.Evelyn. It was also the 35th staging of the athletic meet and the last time it will be held at the Elquemedo T. Willett Park. Among those in attendance at the games were Premier of Nevis and Minister of Education Hon. Vance Amory, Prime Minister Hon. Dr. Timothy Harris, Jason Clarke, Managing Director of Gulf Insurance Limited, S. Nandepersad, Director of Parent Company Assuria based in Suriname and John Barkley, Operations/Claims Manager of Gulf Insurance Limited.